While genetics and environmental factors such as diet both contribute to type 2 diabetes, the exact cause remains unknown. However, new research suggests the chronic condition may also be linked to bacteria attacking the mucus lining of the colon. Researchers wanted to see if invading bacteria in the epithelium, a mucus-lined cellular covering in the intestinal tract, would increase inflammation, which interferes with how the body normally deals with insulin. This could lead to metabolic diseases such as type 2 diabetes. They collected samples from patients' colonoscopies, and discovered that diabetes is linked with bacteria that penetrate the mucus lining, according to a news release. Previous research has indicated that changes in bacteria are associated with a range of diseases, including type 2 diabetes, but the mechanisms remained unknown. Studies on mouse models have also shown how bacteria can invade the epithelium, promoting inflammation, study author Andrew Gewirtz explained in the release. “Now we've shown that this is also a feature of metabolic disease in humans, specifically type 2 diabetics," who have harmful bacteria invading the intestinal tract, Gewirtz said. The study, published in the journal Cellular and Molecular Gastroenterology and Hepatology, involved samples from 42 participants who were at least 21 years old and had diabetes, but no other major health problems. They were all scheduled to undergo colonoscopy to screen for colon cancer at Veteran’s Administration Hospital in Atlanta. The researchers gathered the patient’s health history through medical records and interviews. 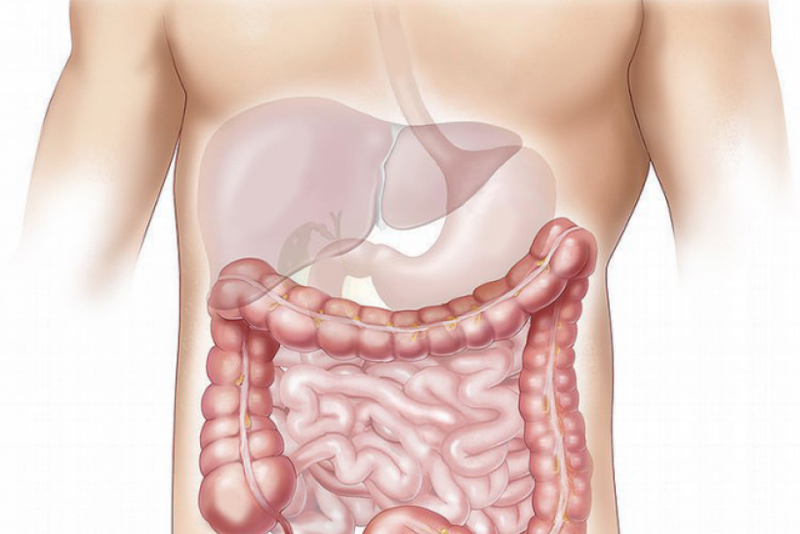 During their procedure, samples were taken from the colon to be analyzed. After looking at the specimens, the researchers concluded that "microbiota encroachment" is related to abnormal blood sugar levels, also known as insulin-resistance-associated dysglycemia, in people. Type 2 diabetes, which is the most common form of diabetes, occurs when the body begins to resist insulin. The scientists plan to conduct follow-up research to better understand the type of bacteria present, so they can create treatments that may stop the bacteria from invading the colon. The findings have caught the eyes of other researchers not involved with this study. "The data are impressive and may have opened a new field of investigation in metabolic function and type 2 diabetes," said Dr. Samuel Klein, who does diabetes research at Washington University. Metabolic syndrome refers to a group of conditions - increased blood pressure, high blood sugar, excess belly fat, abnormal cholesterol - that occur together, increasing your risk of diabetes, coronary heart disease, and heart attack. About 23 percent of adults in the United States have metabolic syndrome, which is often also called insulin resistance syndrome, according to the American Heart Association. Some of the ways to prevent and treat it are by eating better, being active, and losing weight. Your doctor may also prescribe medications to control symptoms such as blood pressure and cholesterol.